Gerardo Molina was born in Puebla, México in 1969. He started his musical education at the age of 6. He got particular training from national and international musicians and studied 3 years at the School of Music of the University of the Americas, Puebla. From this institution he also got the Bachelor's Degree in Computer Systems Engineering in 1994 and worked as Software Developer and Solutions Provider in an outstanding company in Puebla City until 2014. For 10 years he has also worked as musical advisor in the "Normalista" Choir, a remarkable institution in mexican culture due to its relevant national and international activity. Since 2013 he has also worked as pianist in the Puebla Philharmonic Orchestra "5 de Mayo" performing as soloist in several seasons including a memorable concert trip inside the "Cervantino" festival in Octuber, 2013. In addition, he is performing solo piano and chamber music in America and Europe. Molina won third prize at the University of Xalapa National Piano Competition in Mexico in 1998. In 1999 He was semifinalist at the Cincinnati World Piano Competition. In 2003 he won three prizes at the Paris International Amateurs Piano Competition: the competition 1st prize, audience prize and press prize. In 2004 Molina performed at the Grand Prix Winners Concert Festival in the Austria Embassy, organized by WIPAC and was part of the Paris Gala Evening playing with the Republican Guard Symphonic Orchestra conducted by François Boulagne at the “Invalides” Church. In 2005 he got 2 prizes at the United States: 2nd prize in the Boston International Piano Competition for Exceptional Pianists and 3rd prize in the WIPAC International Piano Artists Competition. In 2006 he performed at the “Invalides” Concert Hall in Paris and the Berlin Musical Instruments Museum. In 2008 he performed a piano recital at Radio France in Paris. In 2009 he performed a piano recital and a Chamber Music concert with his wife, the cellist Marcela Lagunas, at the “Joseph Kosma” Auditorium of the Nize Regional Conservatory. 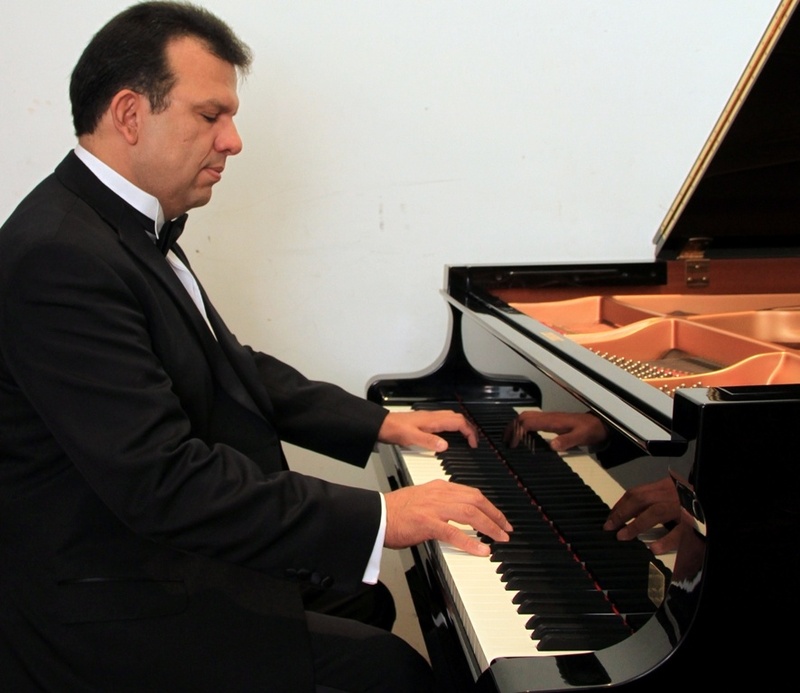 In 2012 he recorded a piano recital for the mexican culture TV channel 22 and played as soloist of the Puebla Philarmonic “5 de Mayo” in the Mexican International Arts Festival known as “Cervantino”. In 2013 he performed at the Munich Geistag Recital Hall and the Asian Pacific International Arts Festival in Krasnoyarsk Russia. In 2014 he performed at the Royal School Of Music of McAllen Texas. In 2015 he had a concert tour in Poland, playing in Warsaw, Poniatowa, Lubin and Zakopane. In Summer 2016 he performed solo and chamber music concerts with his wife, the cellist Marcela Lagunas, in Niagara on the Lake, ON, Canada.